and grandparents of elementary school aged children. and outdoor activity for each one. Get the Newsletter delivered to your email every month! We are excited to launch our newly designed Member’s Area! You can check it out by clicking here. Not a member? Check out the great benefits that members receive here. Christian Concepts for Kids’ publications are great for Christian educators, homeschool families, parents, and grandparents of elementary-school-aged children. 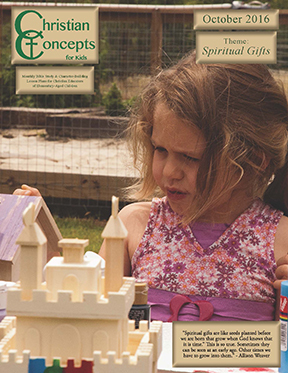 We publish Christian Concepts for Kids newsletter each month. Each issue offers lessons for each Sunday of the month. Each lesson includes a craft, an indoor activity, and an outdoor activity. The newsletter also contains a Just a Thought devotional, Family Fun Activity, and a Devotional Doodle page. Download Christian Concepts for Kids Today! Past issues are available in our member’s area. For more information about becoming a member, click here. Prayers that this issue is a blessing to you.